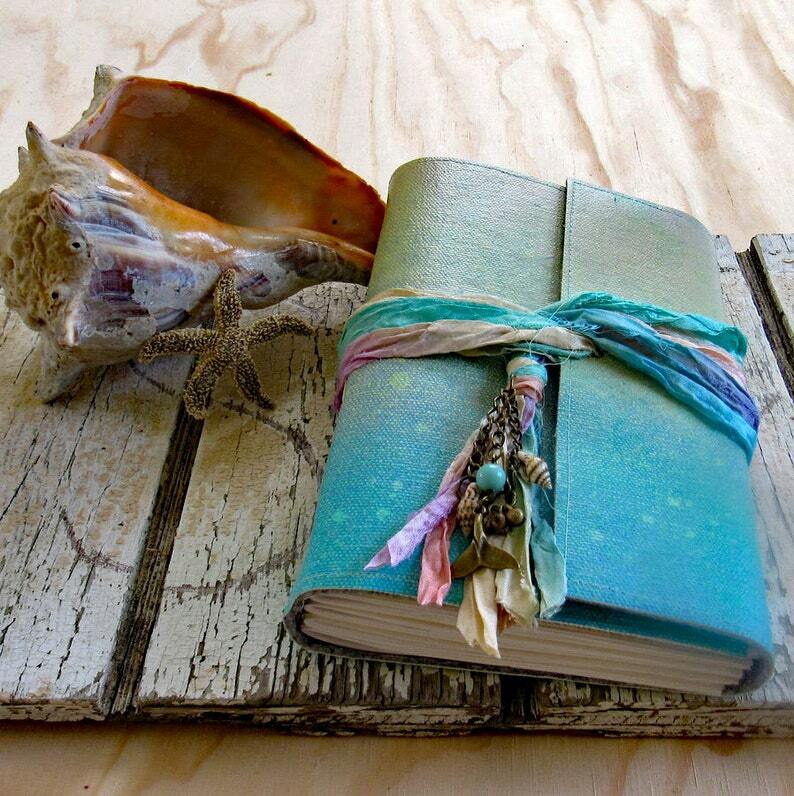 Mermaid Journal...calling all mermaids, channel your inner mermaid with a one of a kind mermaid journal. for the gypsea mermaid in you! Beautifully hand painted and hand bound embellished with beads, charms and silk ribbon wrap closure. 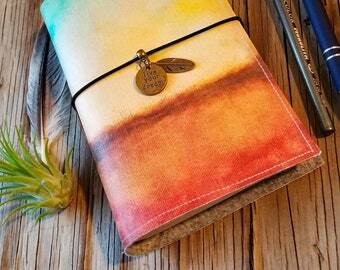 Each Mermaid Journal is handcrafted, one at a time and one of a kind. 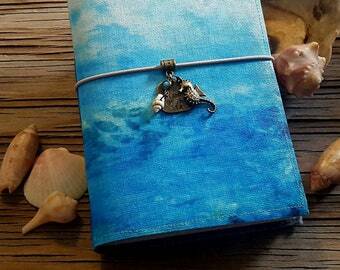 Mermaid Journal ships at date in shipping profile. 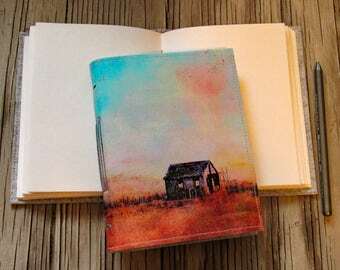 Hand made, hand bound journal. Cover is hand painted durable canvas, all covers are cut from the same canvas and will slightly vary. tri-fold with sari silk ribbon and mermaid embellishments, please note the sari silk ribbon is a repurposed hand dyed ribbon that varies with hue with each ribbon cut for each journal. I have not received this yet! Thank you for your order. As noted, order has shipped to gift recipient and USPS tracking shows order as delivered. Hope recipient enjoys their journal! Please review individual listing information prior to order. Tremundo does not accept refunds, exchanges or cancellations. We try to accurately represent all items with descriptions, pictures and pricing. We take precautionary methods to make sure items do not arrive damaged and take great care in our packing and shipment. We trust that the received item will meet your expectations and cannot offer a return and/or exchange policy. All sales are final. Orders typically ship in processing time frame listed in each listing. Orders placed after 3pm EST M-F and weekends are considered next shipping day. Please refer to order receipt for shipping and tracking information. All US & International orders ship via USPS Priority Mail insured with tracking, on flat fee for multiple items. Please refer to shipping rate in item description for shipping fees. International customers, due to the weight of the journals, orders only ship via USPS Priority Mail, while the rate is high, the rates are lower than actual cost. Tremundo is not responsible for additional taxes, customs or tariff fees. We can not issue refunds for undelivered, misdelivered or lost packages. Please contact USPS or your local Postal Service with a mistake with your delivery. We will not be responsible for lost, stolen, postal delayed or damaged items that have verified delivery. Please note USPS Priority Mail is typically in U.S. 2-3 business, International 6-10 business days, Tremundo is not responsible for delayed in-transit time by USPS and local postal services. If you have any shipping questions, please don't hesitate to contact us! Copyright: ©2019 tremundo all content, designs & images. Please do not copy, reproduce or redistribute images or information. No part may be reproduced in whole or part without written permission. 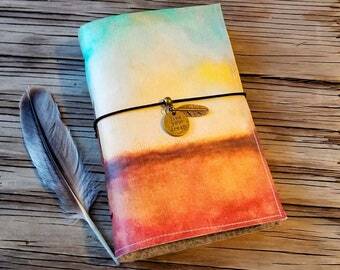 At this time, we are not accepting individual custom or personalized journal orders. 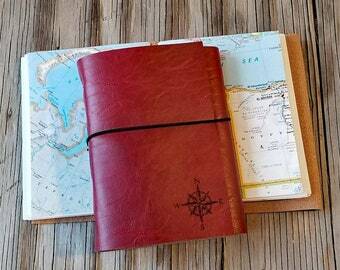 Journal sizes vary and sizes are listed in the item descriptions. Please contact us for bulk and wholesale information.